On an absolute miserable, rainy, chilly night in Buffalo, the Town Ballroom heated up to the sounds of The Spin Doctors Thursday evening. The band returned to Buffalo to celebrate the 20th anniversary of their debut album “Pocketful Of Kryptonite”. They have been classified under many genres ranging from alternative rock, to pop rock, to jam band, but one thing remained constant, the gelling of the musicianship of guitarist Eric Schenkman, the drumming of Aaron Comess and the bass playing of Mark White. 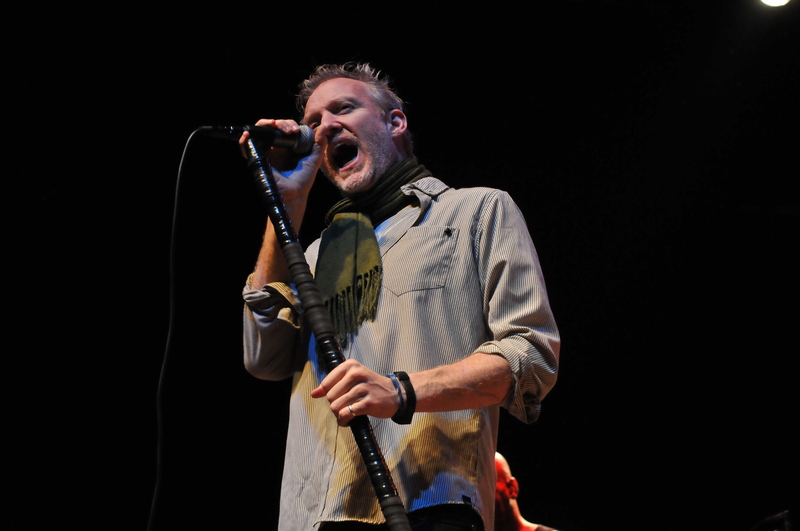 Singer Chris Barron and company kicked off the festivities with “Jimmy Olsen’s Blues” the leadoff track from “Pocketful” and the fun began. Ripping through a song that has become one of the highlights of their set with the vastly underrated “What Time Is It?”. By the time “Little Miss Can’t Be Wrong”, was played the crowd was very jubilant. An enhanced version of “Two Princes” a song you heard probably million times never sounded this good. What made the show exquisite was the band did not play the album note for note. They improvised which gave the songs more life without taking away or distorting from the original version at all. Aaron Comess performed a drum solo leading into Mark White’s Bass solo that all transitioned into “Hard To Exist” which ended the main set. For the encore the band dug out some deep cuts. Returning to the stage with the title cut from 2005s “Nice Talking To Me”, followed by a rare play of “Biscuit Head” before finishing up with “Scotch And Water Blues”. So not only did the band play their best-selling album, they also gave the diehards something to sink their teeth into. A win-win for all fans in attendance. Special Thanks to Jason Richardson for giving us the opportunity to do this review.